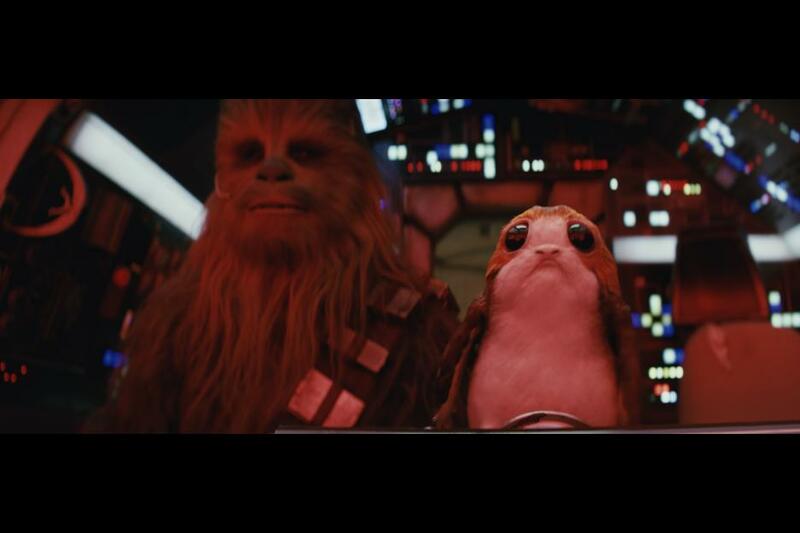 Have you seen The Last Jedi yet? I confess I haven’t seen it, since it’s a fairly long movie and I have a breastfeeding baby who goes everywhere with me. Usually my husband and son go to the midnight showing the night it comes out, but they weren’t able to this year. So, they just saw it a few days ago. I was a bit worried they might not like it as I’ve heard mixed reviews. But…they absolutely loved it! My husband said he got teary-eyed when Princess Leia gets shot out into space, and by the end the rebellion is geared up and ready to fight. Now I can’t wait to see it! Unwrap the Ding Dongs and put them on a cookie sheet. With an electric mixer, combine egg whites, cream of tarter, and powder sugar and mix on medium speed until stiff peaks form. This can take about 7 minutes. Then add the black gel food coloring. Transfer the icing to a piping bag and cut a small hole at the tip. Pipe a black line going horizontal at the 3/4 mark on the Ding Dong. Then, pipe on a thick upside down V and two dots on the bottom corner like shown in the image above. Finally finish the Ding Dong by piping out the rest of the Stormtrooper’s face. Pop your Stormtrooper Ding Dongs in the freezer for about 15 minutes or let dry for an hour before enjoying! Check out this Training Featurette while you enjoy a StormTrooper Ding Dong! Looking for other movie fun? 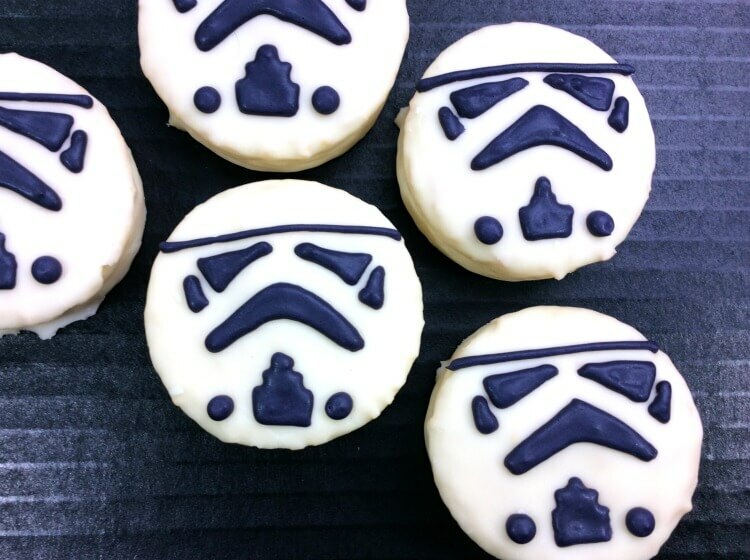 We’ve got even more fun movie-themed treats. Make Your Own Disney Donuts! What a fun snack idea. We are obsessed with Star Wars around here and my kids are going to LOVE these. I’ve been holding off watching it, too, because as a die-hard Star Wars fan, I can’t take the mixed reviews!! These make me want to bite the bullet (and these snacks, LOL) and go see it. I’ll have to look for some white covered ding dongs. I’ve honestly never knew they made them! These look super easy to make for New Years! I have a few guys who would love those. Thanks for sneaking this recipe in before the annual attempt at clean eating! That is so adorable! 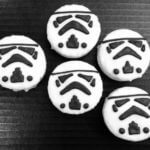 It’s the kind of snack that you want with you when you watch or it’s also a lovely addition if you’re having a Star Wars themed party! I loved the movie as well and it was definitely going to let you go through different emotions. Oh how adorable are these! Ding Dongs have always been a favorite of mine! Been forever since I Had one! I love these!! 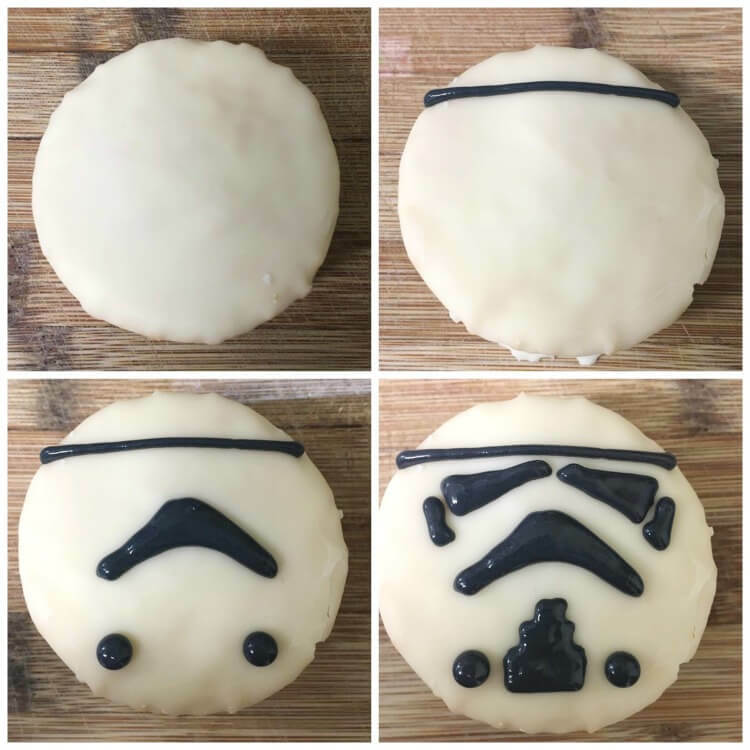 They are perfect for Star Wars fans and super easy to make! (I love super easy and cute recipes!). I’ll have to pin this in my Party Ideas Board for the kids’ next birthday. Thanks. 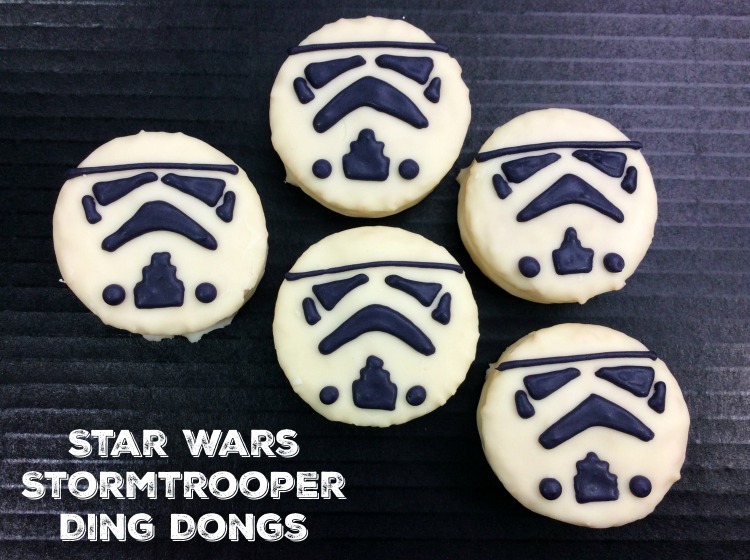 This Storm Trooper Ding Dongs pair perfectly with the new Star Wars. I haven’t seen it yet, but I definitely want to, just have to be in the mood to sit in a theater for over 2 hours. These look really good and fairly easy to make. I may just have to organize a watch party when the movie comes out for those friends/family members who have not seen it and make these. These Ding Dong’s look so cool and would be such a hit in any Star Wars theme party! I’m bookmarking your post to try this soon. These are awesome! 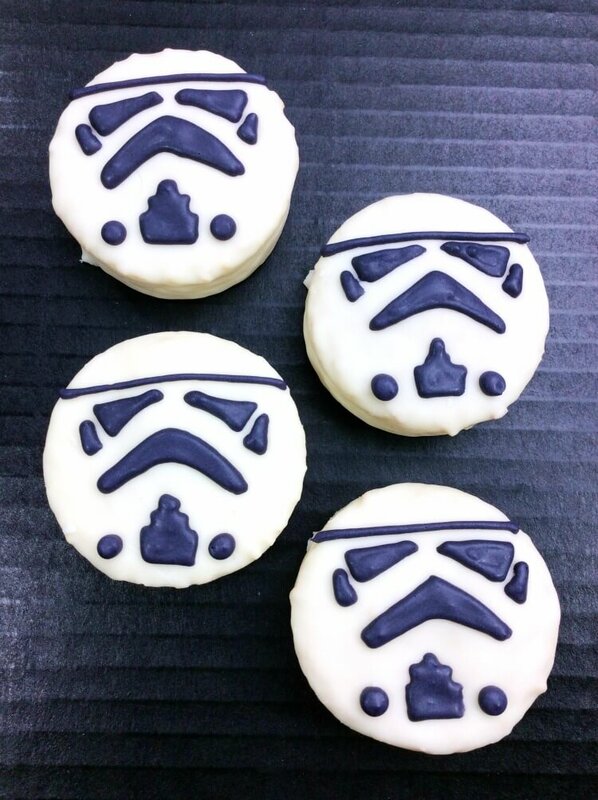 I have so many Star Wars loving friends that would really enjoy seeing these at a party! These are so cute!!! What a great job. I hope everyone enjoyed them and the movie.